Providing quality medical care to the Newton, KS and surrounding communities for over 100 years. Welcome to Axtell Clinic, conveniently located near Newton Medical Center. Here, we strive to provide you with comprehensive and quality care. We aim to educate our patients in a safe environment while offering them care with a personal touch. 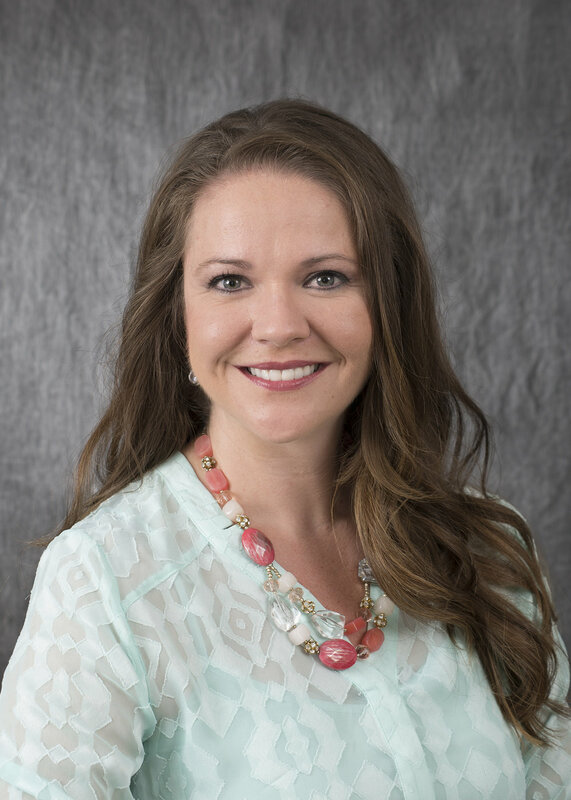 Dr. Brooke Dunlavy earned her medical degree from the University of Kansas and completed her residency in family medicine at Via Christi Health System in Wichita. She joined Axtell Clinic in 2015 to provide full scope family medicine. Dr. Dunlavy is Board Certified with the American Board of Family Medicine. In her free time, you might find Dr. Dunlavy curled up on the couch with a good book. She also enjoys spending time with her two boys and husband. Axtell Clinic's all-in-family approach to medicine started over 120 years ago and continues today with Dr. Richard Glover, the great grandson of the clinic's founder, Dr. J. T. Axtell. After completing his medical degree in 1988 and then his residency in family practice in 1991, both from the Univery of Kansas, Dr. Glover joined Axtell Clinic in 1991. He specializes in family medicine, including pediatrics, sports medicine, geriatrics, men's health, women's health and medical research. Dr. Glover and his wife Rochelle have two daughters, Brianne and Brooke. In his spare time, Dr. Glover enjoys golfing, hunting, fishing and fly-fishing. Dr. Glover is Board Certified with the American Board of Family Medicine and is accepting New Patients now! Dr. Robyn Hartvickson earned her medical degree from the University of Kansas and completed her residency in family medicine at Via Christi Health System in Wichita. She joined Axtell Clinic in 2005 to provide full scope family medicine along with obstetrics. In addition to her work at the clinic, Dr. Hartvickson is a clinical instructor with the University of Kansas School of Medicine in Wichita. In her free time, Dr. Hartvickson enjoys living the country life with her husband and two children. Dr. Hartvickson is Board Certified with the American Board of Family Medicine and is accepting New Patients now! Dr. Holdeman is a Newton native and 1998 NHS graduate. He earned his Bachelors degree in Biology from Kansas State University in 2002. He then continued his education at Kansas University and graduated in 2006. In 2009, he completed his Family Medicine residency with Via Christi, in Wichita, Kansas. Dr. Holdeman loves to practice family medicine because of the variety that it provides. He has additional interest in Men's Health, Pediatrics and Sports Medicine. In addition to his work at Axtell Clinic, he precepts medical students from KU Medical School, performs medical research with Heartland Research Associates and is the former Medical Staff President for Newton Medical Center. When he is not in the office, you might find him outdoors. He enjoys hunting, fishing, camping, boating, skiing and swimming. Dr. Holdeman also enjoys volunteering with the AWANA program at a local church. Dr. Holdeman is Board Certified with the American Board of Family Medicine and is accepting New Patients now! Dr. Stacy Slechta earned her medical degree in osteopathic medicine from the University of Health Sciences in Kansas City in 1999 and completed her residency in family practice at Wesley Medical Center in 2002. Dr. Slechta joined Axtell Clinic in 2002 and specializes in pediatrics, geriatrics, sports medicine, women’s health and preventative medicine. She also participates in medical research. Dr. Slechta’s husband Joe is a pharmacist at Wesley Medical Center. The couple has two children, Claire and Joe. After hours, Dr. Slechta can be found water skiing, snow skiing, reading, playing volleyball or walking her dog Rowdy. Dr. Slechta is Board Certified with the American Board of Family Medicine and is accepting New Patients now! Lacey Anderson, APRN grew up in Newton, Kansas. She attended Cowley College from 2004-2006, where she earned an Associates of Science degree. In 2009, she graduated from Emporia State Unviersity with her Bachelors Degree in Nursing. Lacey worked at Newton Medical center for five years in the Medical Surgical Department. She also worked at the Newton Surgery Center during her employment. Because of this experience, she is an expert when it comes to IV's! Lacey enjoys spending time with her family and friends. She also enjoys spending time outdoors playing softball and volleyball. Lacey is Board Certified with the American Academy of Nurse Practitioners and works directly with Dr. Troy Holdeman. Amber Grant, APRN joined Axtell Clinic in 2018. Prior to her work as a Nurse Practitioner, she worked on the Burn Unit as an RN in Wichita, KS. When she’s not working, you might find her playing with one of her many dogs! Amber is Board Certified with the American Academy of Nurse Practitioners and works directly with Dr. Richard Glover and Dr. Brooke Dunlavy. Payton Stucky is our newest APRN. She joined Axtell Clinic in 2019. Prior to her work as a Nurse Practitioner, she worked as a Labor and Delivery Nurse. Her arrival to our clinic, adds another provider to our Axtell Clinic Obstetrics team, lead by Dr. Robyn Hartvickson. Payton Stucky job shares with Addi Voth, APRN, so you will always be able to see either of them! Payton is Board Certified with the American Academy of Nurse Practitioners and works directly with Dr. Stacy Slechta and Dr. Robyn Hartvickson. Addi Voth, APRN grew up in Moundridge, Kansas. In 2012, she earned her Bachelors Degree in Nursing from Bethel College. She continued her education at Frontier Nursing University and graduated in 2016 with a Masters of Science in Nursing, specializing as a Family Nurse Practitioner. Addi worked at Newton Medical Center for five years in the Labor and Delivery department. That experience has been vital in expanding Dr. Robyn Hartvickson's Obstetrics practice. Apart from OB, Addi is also interested in Women's Heath and Pediatric care. When she is not in the office, you might find her with a cup of coffee in her hand, reading a good book or spending time with her husband and baby girl! Addi is Board Certified with the American Academy of Nurse Practioiners and works directly with Dr. Stacy Slechta and Dr. Robyn Hartvickson.